What are veteran players who still frequent this forum playing now? Hello! If I may ask, what was your character name and server? Your question inspires a history rant, so here you go! As someone who started playing since when the game was close to new, I all but stopped playing around the mid/mid-end of 2016. I did return for more or less a mere three straight weeks to grind from levels 90 to 95 with some friends when the level cap was raised, and then stopped again (botting was insane by this point, and I'll get into that shortly). I've "been around", even lately, but I have not been actually playing with dedication for some years. I just come around to see what's going on and chat with a decreasing list of friends (so these days, it's barely ever). There's many reasons why. I've been playing games for a long time (perhaps nearly as long as some here have been alive), but this was my first full foray into an MMO, because it broke many of the trends that almost every other MMO game had which kept me away from the genre for the last decade and a half. It will also likely be my last/only one, unless another game similar to what made Aura Kingdom great initially comes along (and even then it'd better fix the remaining things wrong this game had), which is highly unlikely. It didn't require a subscription, it didn't require an insane time commitment/grind, and it was easy/casual enough to be appealing to more players while still having a side appealing to the "tryhard" players (learning the mechanics, performing them well in the case of jump-casting, and soloing dungeons, namely). This genre was a big turn off for me because they are generally nothing but devices used to require you to KEEP playing, and thus spending. The progress is made slow and requires grinding, and subscriptions were (less so these days?) required, all designed to keep you playing and spending. The genre has a horrible reward for investment ratio, making it highly time disrespecting. Playing in a massive world with many other players is a WONDERFUL concept... but awfully executed. I never understood why EVERY SINGLE MMO EVER seemed to get it all wrong, but that's capitalism. Sadly, gaming as a WHOLE has trended towards some of this (loot boxes are the big one I dislike of the last five or so years). That being said, there's also many things gaming is doing well, but that's a bigger subject. Anyway... getting back to Aura Kingdom, it was an exception to all of this, so I gave it a try. Most of it was good. Unfortunately, there was an accessibility issue (pay wall of +20 at first), but with everything else going well (plus being new and active), this was sort of overlooked by many of us. The other issue was incredibly ludicrous imbalance between classes. By time we started learning of the mechanics (jump casting was nice, the rest was awful) and especially come the level 70 and 80 metas, things started turning worse. Fast-forward to today and everything is exactly like the worst of MMOs all rolled into one game. Around mid-2016, accessibility got even worse. Paired with that, X-Legends furthered the game in ways that made things awful, including needing to invest so much more into every little thing. Imbalance is worse, both between the classes AND between the player compared to the environment. On Aeria's servers, botting is incredibly rampant. It's also hard for new players to catch up. There is zero reason to start playing this game here if you haven't already, and if you had, there's little reason to keep playing. Unfortunately, mobile gaming is everything I just described to the furthest extent possible, but that's a transition I saw starting a decade ago. Do people really do that? As for what I do now, I'm back to bouncing around between many other games and having the fun I used to before Aura Kingdom (Epic Battle Fantasy 5 just released and I've been waiting years for it!). I still stay involved with friends here, sometimes even signing in, and also keep involvement in a way I'm not allowed to discuss! I did have a LOT of fun here, and met some amazing people (some of whom I miss and don't keep in touch as much). I don't regret my invested time and energy at all, but unless a miracle example occurs, I won't be giving MMOs another go around after I part ways fully with Aura Kingdom either. 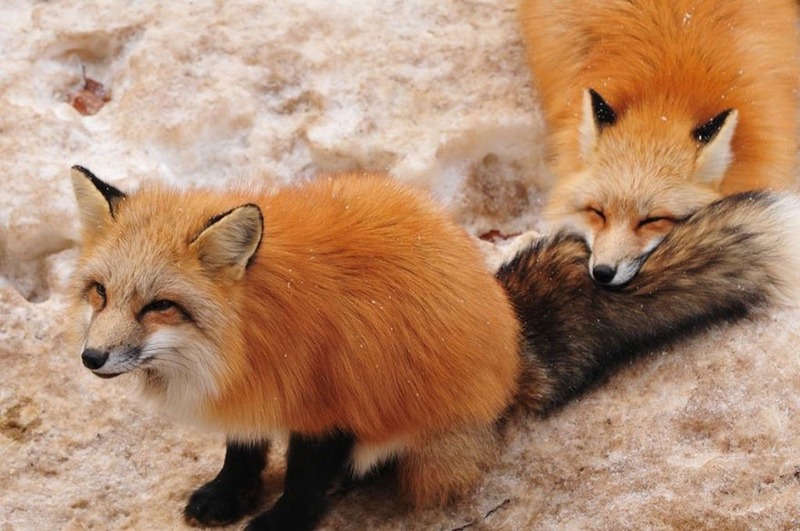 I am still around to force Tsuruga to still have to see the occasional huge rant from me, and to spread many foxes everywhere. Yes, you should prioritize 30 points in crit on more or less any class post-Awakening regardless of gearing or stats situation. Points in speed should ideally only be the case if you need it to cap (which many may). If it's not needed to remain capped and you can afford to go without it though, then it's not worth taking for the higher zeal chance, as you'd be sacrificing points that could instead be put elsewhere, like in move speed, damage, crit, or damage against elements. It's not like Holy Spirit is incapable or anything, but post-Awakening, Magic Sundering becomes better due to the fact that overcap crit has a benefit now. The reason(s) Holy Spirit was better before was because it has 2% more damage dealt while the proc on Magic Sundering was wasted. It's still better from levels 90 to 99, but now (post Awakening) that the latter is no longer true, it becomes more beneficial for your damage than 2% damage dealt. As long as you don't need the crit damage from Holy Spirit to cap, then Magic Sundering is better. All classes use the benefit of this crit, and Tachi is no exception. Now, if cost is a concern, that is one thing, but if you're worried about changing from one level 90 bottom set to another like it might be a waste or short term, don't worry. The set remains relevant for a long time (it is currently still the best bottom set in Taiwan a year and more from now even at S.Level 10). S.Level 1 bottom sets aren't better, nor are S.Level 5 bottom sets. You absolutely should switch to Magic Sundering bottom set, in my opinion. With the scaling per level (and much higher than before) stat requirements starting after Awakening, the extra crit is going to be much more valuable than the 2% detail damage. The only reason to stick with Holy Spirit bottom at all is if changing from it means you also no longer cap crit damage (only Wizards should potentially have this concern). I'd also change your envoy to be closer to something like this. You're trading some damage/offensive stats for HP and the Dark Spear Raid tile. The only thing I'm unsure of is if the last 1.6% crit tile would be better than the damage 2% tile. Not that this should be misrepresented, but is the balance thing just a small love tap to some of the underplayed classes? After the last three or four (or however many it's been?) supposed balance changes, I've pretty much given up expecting a real shift to the state of the game's balance after watching it over around a four year cycle from around two years of Ravager Kingdom, to around a year of Shuriken Kingdom, to now Lancer Kingdom with no end in sight (which gets more pronounced after Awakening). I get that perfect balance is hard, especially with a sub-class system and fortifications making a huge difference (and being highly access walled), but I honestly think they don't even try. The decrease to the cost of certain masteries (especially the four from Vulture Vale and Blizzard Berg) is loooooooong overdue! Remove warehouse npc from Helonia Coast and Crescent Hill. Warehouse card level limited increased to 28. Level requirement for Navea increased to 28.Updated the first prize in the Heroes' Leaderboard. Why? What am I missing that necessitates keeping new players out of the warehouse until level 28/Navea? Oh my goodness! They are making the three star one too! What timing (don't have to wait a year for this one)! After over a year of begging, finally they made Shirayuki's kimono a costume! I'm not necessarily looking for recommendations as to what to do to have fun. I've also gone through and done pretty much everything the game has to offer, especially during 2014 to 2016. After that, I largely quit, just playing once or twice for a few short stretches to check in what little new content there was, which wasn't much since most of it went behind accessibility/payment walls. I pretty much made this posting at the time people were, for whatever reason, doing Shattered Netherworld solos en masse like it meant something. That was around the point that soloing literally meant nothing (not that it meant a whole lot before either since it was 90% Ravagers doing it), so I was trying to prod the community to try and limit themselves during accomplishments, but as this thread shows, there was no such thing. I guess people aren't interested, which surprised me because in the same breath, people complain the "game is too easy" but seem totally content in playing in situations that makes it so easy that they complain. Don't get me wrong; I'm not trying to discourage or shame people from finding fun in whatever they naturally find fun. I was largely a casual player myself (that is, after all, why the game was so great, back when it was casual before all the RNG and grind infestation took over). I just figured there'd be more willingness to try some different things, so to speak, and found it surprising there wasn't (well, game is largely dead here, too, I guess). S.Level 1 staff gives crit damage, although Shuriken will not. Getting the secret stones will be a big help if you're currently still missing out on most/all of them (as they can grant up to 56% crit damage at best presuming you can get full 8/4 stones on everything, or 30% if being conservative and factoring in 6/x stones on armors only), and you're missing 24% to cap right now (44% if you change to level 95 accessories). Looking forward, I'd probably consider it on the eidolon. It wouldn't bring back the old players or attract new players, in the long run you are just losing more and more. As an old player, honestly, Aeria could freely give me +30 for every piece of gear, ever, for the rest of the life of the game, and I still would not come back. The reason is because the game is infested with player botting, and dungeons are dead anyway too. At the current LP cost, and with a limit per week, they are barely what I'd consider accessible though, especially for a feature two years old. That Aura Kingdom deck of cards is honestly the most exciting part of this. It's a shame it's not widely available (?). Your suggestions would amount to an overloaded and broken class though, so it wouldn't make anything less braindead. If there are issues to be fixed, they need to directly be fixed (not that X-Legends will do this), not introduce another class as the solution. Many players on both Taiwan and Aeria mention about the poor state of balance (regarding PVE as a whole [which involves gearing and fortification], and between classes themselves), and no, nothing ever gets done. There have been some class balances, but for the most part they don't do much. The Ravager and Shuriken both saw changes (termed "nerfs") while each was the strongest class (by far, mind you), and neither of those changes actually brought even a bit of bringing the classes closer together. X-Legends are far more concerned with just throwing content out there as long as it generates income as opposed to actually trying to develop a properly balanced game, and Aeria cares no more about it either (but that's the far majority of MMOs anyway, just some do it worse than others). There was a letter to the community X-Legends made detailing their plans for the summer or whole rest of the year (I forget), and for the most part, that is what has been happening and will happen as far as I know. There's been a new class, and there are new Sky Tower floors (41 to 45) too. Some new S.Level 5 (105) gear drops there (namely, a new accessory set which sounds nice, but can really only be made use of by one or two classes maybe). I think there's now some silly leader board pertaining to Sky Tower which has some ludicrous buffs/items as rewards. There were some new eidolons, two in particular that the letter mentioned (X-Legends basically made alternate costume skins for Alucard and Nidhogg, a future eidolon, and made them new eidolons instead). There's also been a loooot of new costumes (both original and eidolon look-a-likes), mounts, and eidolons, many of which look pretty and add to eidolon stat boosting potential through prayers and eidolon stories. Some more eidolons get three star forms. For the most part, it's what their letter has said. It's nothing bad, but it's been a little bit of everything small only (sans the new Sky Tower floors which are a major thing content-wise). There's been no news about a new level cap, no content (like new dungeons, maps, or S.Level 10+ stuffs), but I would guess unless they plan to really slow the game down that it should come late this year/early next for them given current pacing of a new major meta every year or so. Taiwan is currently at late S.Level 1/5 gear/content with an S.Level 10 cap. Currently, Aeria will soon(-ish?) be getting a class balance and a new level cap of S.Level 5 (105), as well as S.Level 1 (101) gear/content, which is new story quests, maps, dungeons, and some stats mechanics changes, of which constitute Awakening. I'd rather see the existing classes (and state of the game as a whole) balanced better, rather just tossing a new broken class into the mix yearly. I'm not a fan of the way overloaded and broken kit. I'm not really sensing any sort of cohesiveness, theme, or reasoning to a lot of this either. I know Aura Kingdom is already rather broken, but this would just push it way further. The new class set to come is a guitar weapon using class that is somewhat of a support/DPS/utility hybrid class. It is likely a year or more off, given that's how far this version is behind in content compared to the original Taiwan version, developed by X-Legends. Sadly, it's so much more than that. The bot plays the majority of the game for you. It does your quests. It runs your dungeons non-stop, getting you drops (which range from recipes to gear to materials and can be used or sold), income, and experience/levels. It does your professions. It does your achievements. It does your eidolon prayers. It links for you to complete your eidolons that Aeria overcharges you for just to get the first key for to begin with. At this point, it practically does almost everything to my understanding. With the game becoming easier and easier over time, to me, the point of playing became more about the progression (the journey along the way, so to speak) and not just about endless end-game dungeon running where bosses die when you look at them, and these days, a bot plays the actual entire game for you and you just occasionally do a dungeon or PVP event now with the result of the work the bot did. I mean, I don't see the point in playing that way, but to each their own I guess? I know I surely don't want to play in an environment that is so tainted by it, though. Bot linking for eidolons might not directly impact others, but botting is way, way more than that. I feel it's impacted the economy negatively perhaps as equally as gold buying (the difference being that gold generation through bots has typically been through mass means and has caused more inflation, but that by itself isn't the damaging part to the economy), with the addition that it's impacted far more areas of the game. In either case though, you're just at a big disadvantage compared to those that do it, and bot use seems pretty rampant in recent times. As someone who played back when the masses of bots for gold generating were a common thing, I would find it more off-putting to play in today's environment than back then. Guardian doesn't offer anything to make it worthwhile as a subclass. If you want it for your own personal opinions, feel free to play it. I'm not discussing how the set compares across classes either. I'm discussing how it compares in general as well, before and after Awakening, because that is the criteria I quoted you on. It'll be more useful once awakening comes up too due to the new mechanics and debuffs from dungeons we will be receiving. This isn't entirely true; it's potentially more the opposite. While it is true that the higher stats will potentially give you a bit higher crit overcap after Awakening (though if you're not a blessed player with high prayer stats and a huge eidolon collection and can't overcap crit after reductions by a nice margin, this part won't even matter then), I want to clarify that there's nothing in the mechanics of the changes of Awakening itself that directly makes the set effect become better. If anything, that very thing makes the gain from this set potentially diminish somewhat. It's not major at all or anything, but I just wanted to clarify that so people don't think the set is less important now. As another related aspect, this is the same reason the Wizard class has been, and continues to, suffer somewhat minor indirect nerfs. When the theoretical crit damage cap of every class goes up the same amount (from this accessory set and from Awakening mechanics), the difference between the Wizard and other classes only potentially shrinks. 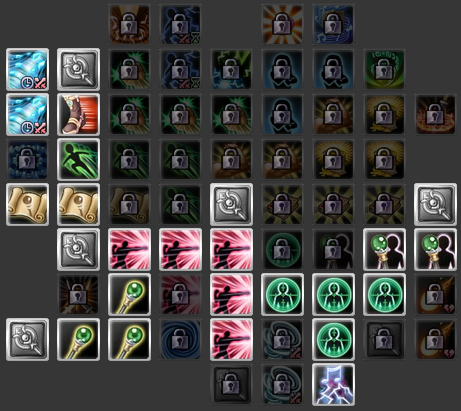 Theoretically, classes that have no extra innate crit damage cap over the natural 300% cap will be gaining the most from this accessory set and the Awakening changes to come. Also, I just realized this was the thread I started. I thought this was the one RayneeDay started. Everything turns into "the state of Aura Kingdom" these days, I guess, and it can't be helped. I'm not going to pretend like the supposed "Golden years" of 2014 and 2015 were as good as nostalgia suggests. Though the game itself was in a much better state at first, there were some pretty big issues in those years too, with the game, with the management, with teams, etc., all of it. I'm one of the first people who will tell you mid-2016 was the "great shift" for the game and created a new and second era (when the game died/went bad, basically), but even I won't pretend it was truly that much better beforehand. The thing is, precisely because there were hurdles back then, starting in 2016, it accelerated, and that is precisely why it's so bad now. Pay walls went up more, and for longer, accessibility went way down, the game itself became far, far less casual and less rewarding for your time (but still pretends to be casual...), and yes, these are problems in which the fault is on both X-Legends AND Aeria, not just the later. However, the latter chose to focus too heavily on short term profits backed by high player turnover rate due to greed, rather than player retention and long term health of the game (and maybe their company at this point...), and it's no secret the trading of stocks or majority ownership or whatever in the company has resulted in even more management woes. To be honest, I don't entirely blame the current Aura Kingdom team; they are honestly little more at fault than those closer to perfect (in our minds) teams from 2014 and 2015, and the real blame lies in... well, call it the bad side of capitalism, greed of the higher ups, or whatever, but the resulting mess of these collective years CAN NOT be denied, and pointing fingers, or arguing over whether it's the developer or publisher, or whether it's this year or that year, is really not what matters. What matters is this... what do we have today as a result of that whole? What is Aura Kingdom in 2018 on Aeria's servers? Here is what we have. The game is increasingly inaccessible, the game is increasingly far less rewarding for the time put in, the game is increasingly less active, and... oh, a big one expounding that last fact, but the game is increasingly becoming plagued with botting (and I don't mean the masses of gold generation bots, which have actually become less of an occurrence [probably because the game is near dead], but rather actual players botting) that it's almost unreal, so what little activity it appears to have is mostly a false display as well. The botting is probably the biggest thing killing whatever was left of the game for me, and it doesn't help that accessibility is so bad that it drives this (keys for eidolons are so expensive, it leads people to buy one, then bot link for the rest, that lovely idea of an experience curve before it was rightfully abandoned was so horrible that it lead to the rise of dungeon botting, the last two level races were heavily determined by botting on the first few pages of the leader boards, etc.). Now, I'm not justifying the use of such means (more the opposite; I personally don't get it, because if it's so bad that you have to bot, why not just walk away? ), but I DO, at the same time, see what motives can push the use of such things for others. Now, botting is a complicated matter, and while it's better to err on the side of safety to avoid false positives, botting is so rampant that seemingly the majority of long-term and end-game players, including spenders, do it. Aeria knows it, and yet Aeria can not make a mass effort against this, because they'd be cutting out a huge part of their financial support, so they are forced to pseudo-tolerate it and be a bit more lenient regarding it (I've seen people who bot and even buy gold get unbanned). I don't know why there was never a captcha implemented (or rather, why it was removed) or why they couldn't do more checks on the side of the server for these things (I have no idea how this works, so forgive me), but the thing is, while nothing may be fully preventable, Aeria has made seemingly zero effort to even try it, and it goes a long way to me, as a player, to show that they do not care about the state of the game at all anymore (which is awful), and only for profits. It's not sustainable. Although I realize this would mean keeping a game installed, updating it when you go to do so, etc., this is why I'd always routinely log in (once every few months, a couple or few times a year, etc.) in a game like this, even if I was "done" playing, unless I literally didn't care if I entirely lost the account. I stopped heavily playing, depending on how you count it, starting as far back as mid-late 2016, but I still log in somewhat regularly for random reasons (mostly to chat). Any account that had AP associated with it SHOULD be flagged as exempt, though, in my opinion, regardless of age. Apparently accounts have spending level status associated with them and I wonder if this is one supposed reason why. Anyway, unless you were particularly invested in some of the costumes and eidolons, as has been said, leveling and gearing would be little issue, at least compared to where you probably stood when you stopped playing. Level 60 gear is entirely obsolete now (besides the Sniper armor set as a start, and Guzigla, level 70 stuffs is too), and the quest line takes you to, what, level 80s or 90 now (I haven't done it since the changed experience curve), so you don't even need to grind until much later than where you were, possibly like level 90+ now. The costume scheme is set up so that new costumes are ludicrously expensive, but old ones are generally very cheap and potentially plentiful (the voucher shop made this so), so likewise you probably don't have anything that'd be too expensive to get back. That kimono you showed pictured (which isn't even dyed)? It was cheap as nothing in 2015/2016, and better ones have come anyway. The staff costume? It's been cheap forever, too (although, personally, I think it's still the best one in the game!). Same for that back accessory. Is it still unfortunate you may have lost it? Absolutely. I'm not telling you it's right (it's not), but even if you had all that stuff still, it HAS been devalued greatly, so at the least it should be trivial to get back. Fortifying to +20 is also now much easier. Fortifying beyond that towards +30 (yes, this is a thing, as it's as silly as it sounds; the game as a whole got far easier with far more broken classes), new costumes, and eidolons are where it's hard to progress. As they say, the more things change, the more they stay the same, and Aura Kingdom is exactly like that. If you're looking for something casual with friends, it can still meet that. While I've been playing games for a while, this is my first real MMO game as well as my first Aeria game, so I didn't know what to expect initially. I was always put off from getting into MMOs because of up to three things mostly; recurring subscription costs, horrendously slow rate of progression (I say this as someone about as far from wanting instant gratification as anyone, too, but MMOs are just way too slow and way too high on time demands on the premise of keeping you playing and thus potentially paying), and/or so much impossible RNG. Combined, these three things made the time spent on one of games of the genre seem so far less rewarding than literally every other game genre ever, so I just enjoyed the many other games I did instead. Then, along came Aura Kingdom. I found it one day in mid 2014 and liked the visual style and it seemed casual and promising enough, and the lack of a subscription cost at least made me give it a try. Casual, accessible, and yet still good MMOs (bonus points if it's at least relatively balanced too which few seem to be) seem to be once in a Blue moon thing or even rarer, so even though it had it's issues and mostly turned into all three things I am turned off by in the genre, it was fun for a long time regardless, and I met some incredible people! Per the Wizard envoy, taken from my guide, I would probably suggest something like this, which is more or less saying "your PVE envoy works the best" (given you're using the Bard sub-class in PVE, anyway). If level 69 and below PVP is still a thing, I used this when I did that. I have less of an idea of what to suggest for a right path/flame Wizard, as my experience with it is limited (and the results at that time were poor). Maybe someone else who plays it can contribute for that, but I would probably think something like this would more or less be close to ideal. Either way, I would follow the same line of thinking and say "whatever you use for PVE will likely work best here", just adjust it for having Bard sub-class and the combo skill if not already. Second thing, and this is more an exception to the rule but it might be worth a mention, but the harp element on some classes who get a combo skill from pairing with Bard might want to try and get an element that matches the skill. I've always recommended Wizards to try and get lightning element for the Harp. It became clear long ago the only thing Aeria cares about now is the bottom line, even at the cost of the game's health and long-term potential/survival chances. Why worry about player happiness when you have such a high turnover rate you can just convert more newer players into spenders? They have always targeted the top end; that is nothing new as it's been the strategy since day one in 2014 (or late 2013 if you're counting beta), and even back then they were hiccups (+20 was monetized almost as bad though we're fast to forget, accessory fortification was more so, the level 70/75 weapon fiasco, there were bad GSes back then too), but things changed drastically in 2016 (vote for your eidolon event disappeared, level 80 restructure accessibility was the first sign with those dumb flash sales, +30 monetized way more than accessory fortification, that silly level curve adjustment, level 90 restructure solutions repeating the level 80 ones, botting has become so rampant, and worst of all, the population mass which kept the game active and healthy died [what remains fall mostly into that botting category, the big spenders, or both], oh, and add removal of things now too I guess to that list, etc.). It's a shame, too, if they would have taken a more balanced approach, it could be big still AND have those new players coming in. If people would stop begging to have the chance to throw hundreds of dollars at Aeria during fortification insanity events for a feature over two years old (and ironically, some of the same people complaining at the state of the game, do this), then maybe they wouldn't turn a blind eye to the complaints. Aeria only looks at their bottom line. I hate to blame the victim here, but vote with your money or they won't hear it. Now everything is locked up behind time limited spend sales, or seemingly being removed entirely. Well, that's not exactly too surprising if you selectively get just enough to be under Red panel and then stave off completing certain ones until the end (which is what you did), especially since there's a lot of things you no longer have to do to get it these days. Still, nice that you skipped the worst panel in the game so fast, and figured out this was possible. You can get the Yellow panel in a few days/a week (less if you know what you're doing), and then the Red panel isn't too awful to get either, but you'll generally be stuck with that one for a while. Come to think of it, the Black panel being the highest one is the longest time we've been stuck with the same highest panel; seems I've had it for over two years now. Panel system when? Also, this is still much better than yet another solo of level 85 or 90 dungeons, haha. It's because whales aren't buying fort insanity promo (which is what kept +30 locked up behind paywall for 2 years counting) anymore they just transfer it to their next set and so on, they once never cared about the F2P players that grinded for months on end just to afford one +30 weapon main weapon. Well, the "free to play mass that grinded and kept the game healthy from within" has honestly disappeared slowly but surely starting long ago and is likely all but gone by now. That's seemingly largely been replaced by the botting mass. They're in process of removing <Superior Ability Transfer Scrolls 1-30> in-game, making them really expensive and pretty much exclusive to whales. Not that I'm defending the decision, but +30 itself pretty much already requires an insane amount, and even before that (which was... two years ago now?) they were locking the game up to spenders long, long before. It'll hurt the state of the game (well, nothing is really left to be honest? ), but don't color me surprised at this. I have no idea what is going on, but the person above me would clearly look more beautiful in a wedding dress! There's enough players "existing" within it to where it's not totally dead on the whole, but the game is in a really sad shape. Its had a lot of issues throughout it's years that just took a toll on it, and right now, it's effectively dead if you measure it where it counts, because there is so much botting (I am referring to players using third party programs). Botting means the mass that used to work tirelessly has been replaced, especially since reward for time investment has also dropped (and was rather awful to begin with, but that's sort of all MMOs), as well as pay walls going up. End-game is nearly non-existent too because decreasing difficulty (relative to full gear fortification) means geared people just solo everything, and those who aren't geared are left behind, and as for leveling, people just bot for that too. This would have been a great game to play when it was newer, even if it had it's issues throughout it's whole life and not just today, but well, it's my opinion that jumping in when the game is newer is the best time anyway for any game and not just this one. If it's striking a particular interest in you, then you'll have to try and decide for yourself, as the game DOES have a lot of content to explore and it has it's own charm that most others don't, and if you don't mind casual stuff ( I personally don't and actually prefer it with MMOs since they are already too demanding normally), and if you don't care for playing end-game (though this limits you, unfortunately), then yes the game itself is still at least okay and at least worth the time to install and try and decide for yourself. It's just heart-breaking to see the current state of things when you consider the potential the game once had. I'm currently using +20 ghodroons lance/+20 bard sub/+20 all imperial LW armor. It almost sounds like you're looking at your main stats window crit damage. Don't forget to add your primary weapon crit damage (up to 30% if you're taking all three tiles), as well as your crit damage to bosses to this. Lordswrath set will give 65% from the set bonuses alone (30% for the top set and 35% for the bottom set), and if your costume is enchanted this way, that's another 25%. I'm pretty sure the class also gets something stupid like up to 60% crit damage or more for it's envoy proc because it's beyond an overloaded class, so you're most likely fine. Oh, I already took steps to retain enjoyment, and it was in the form of quitting. I linger around for chance at chat and keeping in touch with friends, but I quit actively playing here long ago because of it. I stayed away from MMOs beforehand because of the insane time and financial commitments they most often seem to require (either it's subscription based and you have a literal monthly MMO bill [this is a ludicrous idea to me as a player, even though I understand servers have costs], and that is often atop buying the game and regular expansion packs, as well as a cash shop that is also present anyway, or it's free but often limits things too much unless you pay high amounts). Aura Kingdom came along and had an appealing art style, and was the right mix of casual but not too casual for me (if later discovered to be brokenly imbalanced, and has only gotten worse), and allowed most players access to most prime features (+20 was the same way at first though to be honest but it got better relatively timely). The sad thing is, and this is down to both how X-Legends developed the game and how Aeria monetized it further, I believe the game COULD have been hugely massive even to today, and the high turnover rate of players is proof that the one thing they do well is keep new players coming in. Most people who i know quit did so because of Aeria's management or with how X-Legends was furthering the game in a way they felt was worse, not because they necessarily wanted to stop playing a game they used to love. The genre as a whole, while neat in concept, really has a lot to work out, but well, as you said at the end of the day, it's a business, and people fork them money over with the existing model so they've no incentive to currently do so, and I've all but given up on the genre as a whole of ever changing or improving compared to the amount I get out of every other genre/game I play (too little progress is all you get with MMOs to keep you around to make you more likely to find that subscription worth it or to buy that cash shop item). I don't regret my time with Aura Kingdom at all; more the opposite, as I met some incredible people who I do my best to stay in touch with, and had some wonderful (including some tear-eyed, haha) times, but this will likely be my first and last MMO unless another once in a Blue moon like it one comes along, but I doubt it. The genre's better days seem to have been over a decade ago (2000s basically) and maybe I should have instead given it a go back then (though it was more subscription based back then which is why I didn't). Anyway, not meaning to get too far off the main post. Good information again (and with the update, too) Daybreak.